Over the last few years there seems to have been an enormous leap in explanations for Learning Disabilities (LD). There is talk of genetic predisposition, drug therapy, processing times (e.g. slow auditory processing), brain imaging techniques and findings, quantified EEGs, brain biofeedback, sound therapy, light therapy, and many others. Each new avenue quickly gains a following of professionals offering help. In the midst of all this, one might wonder if the ‘old-fashioned’ belief in movement programmes is outdated. With all the computerized programmes, new therapies and drugs that speed up processing times being more and more widespread, can we motivate the belief in the power of movement programmes? 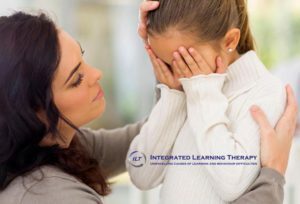 Why does Integrated Learning Therapy (ILT) still achieve such good results, even though the approach does not rely on technology or sophisticated equipment? The answer lies in the simple truth that LD is not just a cognitive (intellectual) deficit. A really close look at children identified has having LD will show that they also have significantly high deficits in several motor (movement) areas. This was supported by research in England, which suggested that very refined, accurate tests of balance might be a quick way of screening for LD. Integrated Learning Therapy (ILT) finds that movement training is wonderfully beneficial. It refines and speeds up kinesthetic (feeling of movement) processing as well as auditory processing, visual processing and the integration of all three to produce balanced, calmer individuals who become more proficient in reading, spelling, maths and writing. ILT sees that the learning problem is in the brain of children who have difficulties – not because of lack of intelligence. The brain ‘wiring’ is faulty or incomplete, leading to neurological disorganization. Look at the behaviour of a child with LD. They reflect the disorganized neural networks in their brains with their disorganized ways of trying to learn and cope with the demands of home and school. They are struggling with information that is not getting through from skin, body, ears and eyes to the brain, or they are processing the information too slowly, or it may be scrambled along the way. Some children may be hearing only part of a word or sentence and, to make matters worse, what they do hear may be processed slowly and is confusing. They don’t hear full instructions from teachers and parents. Others can’t use their eyes to learn because vision might not be supporting them – even though optometrists declare their sight to be normal. To add insult to injury, their two brain hemispheres may not be working together. You can see signs of this in school-aged children: they don’t automatically know their left from their right, they can’t do more than one thing at a time, handwriting and producing written work is tedious and really hard because they struggle to organize themselves or their work. Not surprisingly, they become frustrated with the daily effort and may have meltdowns. Simply put, LD children are usually working much, much harder than their more ‘learning ready’ classmates. The good news is that we can speed up the rate at which information reaches the brain and is correctly processed. Brain networks can be reinforced to be more stable – and we do this with the knowledge that the brain is plastic and in a constant state of change throughout our lifespans. As is true of other countries around the world, it is unlikely that our South African government will increase resources to help those with learning difficulties in the near future. We do, however, have resources in the form of trained people who can help introduce movement and perceptual training into school programmes. Several schools around our country use ILT as part of the school day to help – and the amazingly successful results speak for themselves. If you’re interested in knowing which schools these are, contact us at info@ilt.co.za. ILT practitioners around the country help individual LD children but the ideal would be to have programmes in the schools. Schools should be the place where immature children are given the chance to catch up. Appropriate exercises can be done daily in the classrooms. With the right attitude, schools can use these professionals and helpful parents to improve the learning of LD and other learners. This is why we offer courses to empower teachers, parents and other helping professionals to share the knowledge and acquire the skills needed to implement such programmes. If you are a parent of an LD child or teach LD children in your classroom, then the first step towards truly helping would be to study what we know and have been successfully implementing for nearly 20 years. More information can be found on the website www.ilt.co.za or write to info@ilt.co.za. If you would like to receive more new and articles of interest, please be sure to like our Facebook page. Angela Fawcett, in Pheloung, B. Help your class to learn. Manly: Australia. In the midst of all this, one might wonder if the ‘old-fashioned’ belief in movement programmes is outdated. With all the computerized programmes, new therapies and drugs that speed up processing times being more and more widespread, can we motivate the belief in the power of movement programmes? Why does Integrated Learning Therapy (ILT) still achieve such good results, even though the approach is neither supported by technology nor uses sophisticated equipment? ILT sees that the learning problem is in the brain of children who have difficulties – not because of lack of intelligence. The brain ‘wiring’ is faulty or incomplete, leading to neurological disorganization. Look at the behaviour of a child with LD. They can be seen to reflect the disorganized neural networks in their brains with their disorganized ways of trying to learn and cope with the demands of home and school. They are struggling with information that is not getting through from skin, body, ears and eyes to the brain, or they are processing the information too slowly, or it may be scrambled along the way. Some children may be hearing only part of a word or sentence and, to make matters worse, what they do hear may be processed slowly and is confusing. They don’t hear full instructions from teachers and parents. ILT practitioners around the country try to help LD children but the ideal would be to have programmes in the schools. Schools should be the place where immature children are given the chance to catch up. Appropriate exercises can be done daily in the classrooms. With the right attitude, schools can use these professionals and helpful parents to improve the learning of LD and other learners. This is why we offer courses to empower teachers, parents and other helping professionals to share the knowledge and acquire the skills needed to implement such programmes. If you are a parent of an LD child or teach LD children in your classroom, then the first step in truly would be to study what we know and have been successfully implementing for nearly 20 years. Probiotics – why all the sudden hype? Probiotic has become a new buzzword after seldom having been heard by most of us during our growing years. The reason for the hype is that they are very necessary for our physical and mental health. So important, in fact, that they have been termed a ‘new essential food group’. It is possible that in the past, our diets, lifestyles and medications were less harmful to the population of probiotics that we need in our body. That’s most likely the reason that we haven’t all been as aware of their importance as we are of other food groups, namely proteins, carbohydrates, vitamins and minerals. The term ‘probiotics’ is derived from the Greek: pro as in ‘promoting’ and biotic, meaning ‘life’. It is a term covering a wide range of different microbes that live in our digestive tracts and doesn’t only refer to the limited few commonly found in or added to some foods, such as natural yoghurt, aged cheese, the recently popular kefir drinks, and so on. Because our foods might not include all the probiotic strains that we need and because anti-biotics and other medications tend to destroy healthy probiotics, we often don’t have enough of them to really function well. This also means that other, potential harmful, bacteria can multiply and thrive, causing an imbalance. The result is obviously that our digestive system suffers but the impact goes further. Our immune system relies on probiotics for proper functioning and if we lack a sufficient supply, our immune system begins to overreact, cause inflammation, allergies, intolerances and frequent illnesses. A faulty immune system can also turn against the body’s own cells, causing autoimmune disorders, such as eczema, type 1 diabetes, rheumatoid arthritis, multiple sclerosis, asthma, colitis, Crohn’s disease and even ‘ADHD’ . Because foods containing probiotics are no longer part of our diets – for example, naturally fermented vegetables – and other popular foods such as sugar encourage the growth of harmful microbes – many of us resort to supplements to try and maintain a healthy gut. This might not be enough because in order to thrive, probiotics need certain nutrients. These are called prebiotics. Every time we eat, even if it’s a quick snack, we tinker with the delicate balance of microbes in our bodies. We should concentrate on feeding the healthy probiotics while starving the bad microbes. The best prebiotic is dietary fibre, which is found in fruit, vegetables and whole grains. We can’t digest fibre but probiotic microbes thrive on it. Prebiotics can also be found in certain fats, tea, herbs and spices, red wine and dark chocolate. Many children try to avoid eating the foods their bodies most need. Because of this, our ‘picky’ eaters are most in need of supplementation. And it is not surprising that many of these children are prone to health conditions, including brain health, like attention and learning problems. This can make the situation even worse because frequent bouts of sinusitis, colds, chest complaints, ear infections and the like often result in a prescription for antibiotics, once again depleting the probiotic population. Once the medication begins, take a total of two or more doses of probiotics during the day. Don’t consume them with the antibiotics. If they’re in the stomach at the same time the probiotics will be killed by the antibiotics. Keeping the digestive system supplied with probiotics is difficult, because many will be killed by the antibiotics even if they are taken separately. Try to eat a wide variety of probiotics. A supplement should preferably contain at least 10 billion CFU (Colony-forming units, or otherwise, live microbes) and hopefully more than six different probiotic strains. Eating prebiotics to support the probiotics is important. Try to avoid refined carbohydrates (bread, flour, sugars, pastas, cookies, cakes, etc). This supports the probiotics and helps them compete against the harmful bacteria. Continue taking at least one extra dose of probiotics per day for at least a week after the antibiotic course is finished. Even though the medication has stopped, there is still quite a battle going on in the gut. What probiotic supplements to buy? You’ll find plenty of probiotics in chemists and health food shops, not to mention on-line suppliers. It is, however, best to buy supplements from a source where they’re kept under refrigeration. Also consider if the shop is likely to sell these products regularly and replenish stocks often. Unlike vitamin pills, probiotic supplements contain living organisms. If they’re not properly stored or stored for too long, they can die even before you buy them. Keeping them cold helps prolong their lives. You’ll also need to choose a reputable brand. Here it may be wise to ask the advice of your pharmacist or do an on-line search for the company producing the product. Even then, you don’t have any guarantee that products actually contain the stains listed on the label, or that the microbes are still viable, or that they’re free from contamination. Sadly, some American studies have shown that ineffective products are common. Companies that also produce medications or food may be better sources of a supplement because they are generally held to strict standards for their products. Manufacturers may include references on their websites to scientific studies published in peer-reviewed journals or state that they’ve submitted their products to independent laboratories for testing. Look for the number of CFUs in the supplements. You need at least 10 billion of six or more strains. Finally, be very cautious of cheaper products. You usually pay more for capsules or packets that contain more CFU and more strains. This, and assured quality, means that the higher priced options may just be money well spent. The recommendations in this post have been based on scientific opinion but aren’t meant to be a substitute for professional medical advice. You may want to speak to your medical doctor about these issues before giving your children or yourself probiotic supplements. Very few of us feel comfortable about speaking to a child after a traumatic event. What should we say? What should we do? One thing is sure: we have to deal with the reality of what happened because if we don’t, the child will suffer. The trauma doesn’t have to be something they experience personally. Our news is full of disasters and it is virtually impossible to keep children from hearing about events, such as the recent Knysna fires, the continual violent deaths in Cape Town ganglands, knifings at schools, disappearance of children, floods and fires in the informal settlements, and more. Trying to hide all these things from children will do more harm than good. The adult’s job, be they teachers or parents, is to firstly shape the way they interpret the information they receive, and secondly to give them time and the opportunity to express their feelings. Younger children may not have the vocabulary to verbally discuss their understanding or feelings. They may show their need by becoming clingy. Let them cling. Sometimes a hug says more than words. They may also get release through drawings, which is also true of older children. Children who have good understanding of language will need to talk about their feelings. Your role should be to try and find out what they know and how much they know about the event. Don’t interrogate the child but get this information by inviting them to tell you all about it. Use simple, clear language that is age-appropriate for the child. Don’t lie to them or tell them there’s nothing to worry about but also refrain from telling them more than they want to hear. In other words, don’t offer additional information. You’ll also need to try to monitor the information your child might be getting from others. They speak to their friends and you can’t stop that. In fact, those discussions might help the healing process. You can, however, prevent them from seeing too much and too graphic television coverage. Young children shouldn’t be watching news broadcasts. Our country, like many others, is dominated by disturbing news. Instead, use news time to read a story, play a family game or do some arts and crafts. Do try hard to put their feelings into words. For example, “It’s so very sad that people’s houses burnt down,” or “All of us feel scared after hearing that a child was killed at school.” Don’t try to lighten the situation and don’t make promises you can’t keep. Saying something like, “Don’t worry, that won’t happen again” and another incident occurs, will only destroy the trust your child has in you. You should remind them of the positive: that others are rallying around to help the victims; that the authorities are working out how to prevent similar future events, even what steps are taken by their own schools to prevent children carrying weapons onto the grounds or to protect them from being absconded by kidnappers. Young children will show reaction to trauma in behaviours. Preschoolers may become clingy, wet their beds or soil their underwear and resort to thumb sucking. Primary school children may also become clingy but may suffer nightmares, unusual behaviour such as aggressiveness, trouble with schoolwork, moodiness, headaches, stomach aches, develop a rash(eczema) and even show breathing difficulties such as wheezing. Giving children a sense of control over the situation can be helpful. Ask them what would help to make them feel better. If they answer that they would like to sleep with you then allow them to do so. Perhaps they would like to be involved in doing something to help those who suffered through the event. This type of behaviour gives them a sense of having control over their lives and can be helpful. Adolescents may respond differently. They may be more unwilling to speak about their fears and uncertainties. They may try to repress fears. The result is that they may often act out, misbehave or become depressed. In addition, they may have access to the internet and social media which can expose them to sights and information that can raise their anxiety levels. Try to find out and, if needed, impose some limits on this exposure. The types of effects that stress has on older children may include: headaches, stomach aches, fatigue, isolating themselves socially, using drugs or alcohol, sleeplessness, trouble concentrating, physical complaints and pains, change in usual behaviour and eating disorders. If your adolescent is unwilling to talk to you, counselling from an impartial third-party might help. You can’t hide your child from the stressors of our world. The dangers out there are many and real. Preparing to help your children begins at an early age when you talk a lot to your children and invite them to share their feelings with you. An open parent-child relationship can be a huge benefit if they are to become resilient to traumas in their lives. Dr David Marks, Raising stable kids in an unstable world. Parents – trust your gut! It’s the end of another term and with that comes the report from school. Now, as parents, you have to read what one or more other human beings think of your child. This can be a pleasure but can also cause confusion and even concern. How seriously should you take the schools’ verdict on your child’s performance, behaviour, growing personality and abilities? Is food the cause of my child’s problems? We’ve known for a long time that food can cause us problems. The well-known adage ‘One man’s meat is another man’s poison’ was reportedly said by Herodotus in 460 BC. Later, Hippocrates identified that stomach and skin complaints could be caused by drinking milk. Yet the link between the food we consume and children’s problems remains stubbornly ignored by many. Inattention is seen to be the result of ‘unbalanced brain chemicals’ or a symptom of a mental disorder (ADHD). This is in spite of much evidence that attention and other typical challenges (can’t complete tasks; loses focus; is aggressive; can’t follow instructions etc) may well be linked to brain function that is disrupted by food substances.